I have more wonderful products for you from Neocell. They are the Beauty and Joint Bursts fruit chews. These fruity chews are a fun and easy way for you to enjoy your supplement and taste delicious! 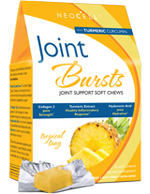 These joint bursts are soft chews that have a wonderful tropical flavor. 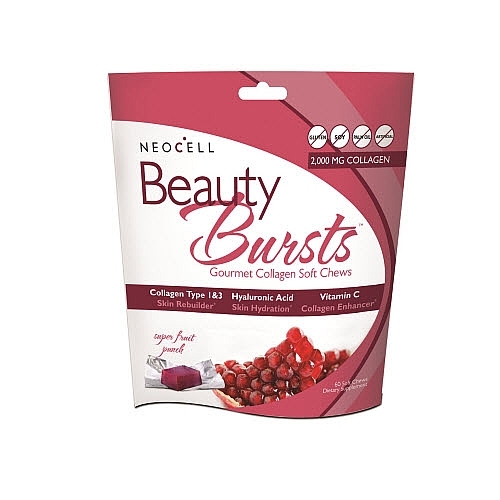 Also NeoCell Beauty Bursts Super Fruit Punch with 2000mg collagen Type 1 & 2, Hydrolic Acid and Vitamin. These chews taste amazing! Follow Neocell on Social Media to learn more about these and other products. Disclosure: I received these products to review. All opinions are based on my own personal experience. Yours may differ. No other compensation was received.